Whether you're shooting waterfowl or simply near water, you'll want to use steel shotshells like these. 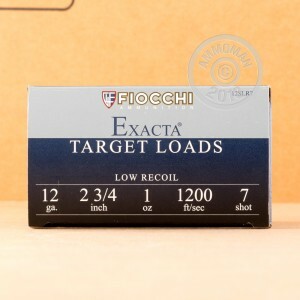 Manufactured by Fiocchi, this 12 gauge ammo fires #7 steel birdshot at about 1,200 feet per second, generating mild recoil suitable for long shooting sessions. It's also ideal for newer shooters! 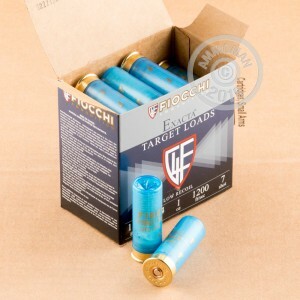 Fiocchi shotshell ammunition is loaded in Ozark, Missouri. These 2-3/4" shells come in boxes of 25 and are ideal for most sporting uses including bird hunting and clay or paper target shooting.